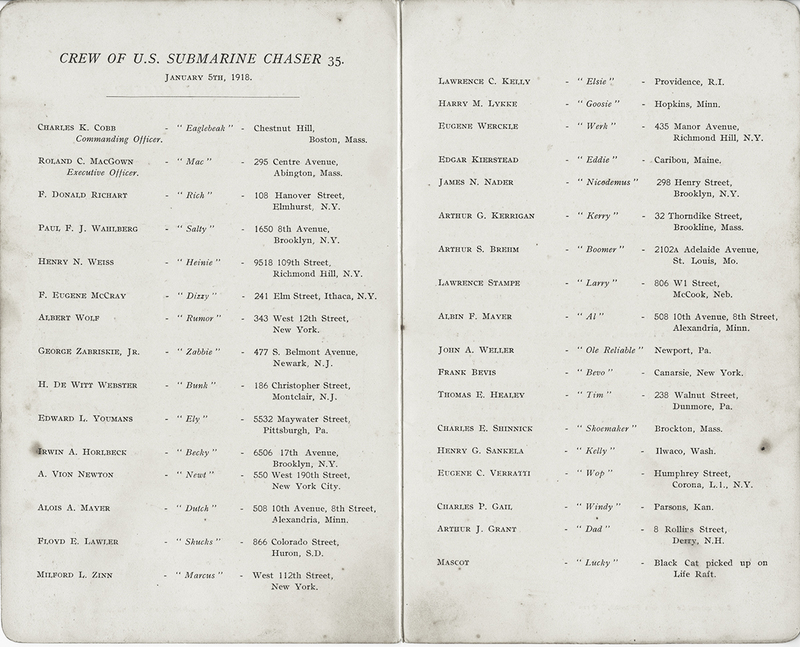 "Lest We Forget" -- A crew list and poem from submarine chaser SC 35. 1 mascott cat, "picked up on life raft." There must be a good story, here. The significance of the date is unclear. 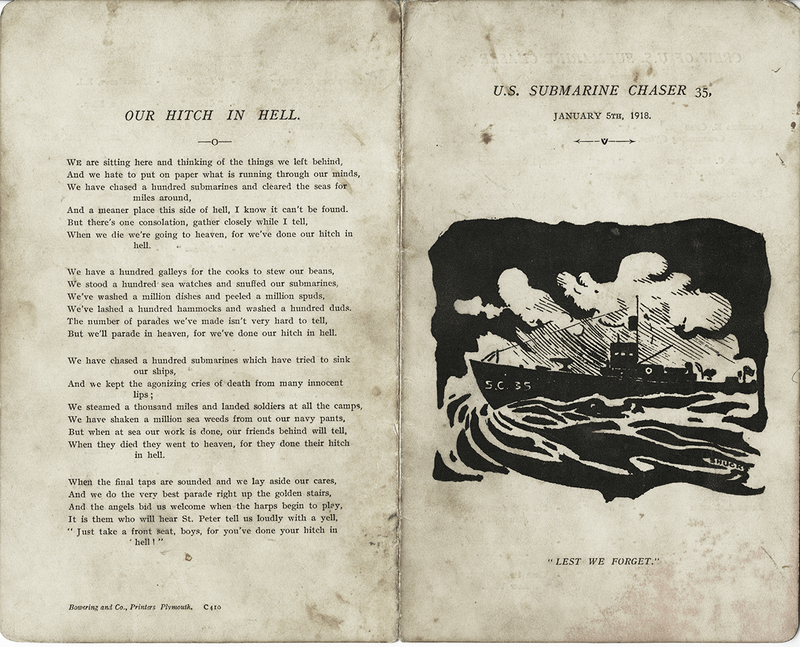 This chaser was commissioned on 23 January 1918, and the poem clearly refers to war time duties. Possibly the year is incorrect, and this is from a celebration event in January, 1919.